Grow creatively and personally. Get inspired and learn from 1,500+ curated classes in: - Photo & Video - from Lighting to Portrait - Art & Design - from Illustration to Typography - Music & Audio - from Electronic to Rock & Metal - Craft & Maker - from Calligraphy to Scrapbooking - Money & Life - from Entrepreneurship to Podcasting ON AIR CLASSES - free online classes All 5 channels, with full class broadcasts 24 hours a day for free. Non-stop learning direct from our studio. FREE LESSON OF THE DAY Get one free lesson of your choice - every day. Get your daily fix and start a creative habit. Unleash your creativity through challenges and exercises. We would love to see your projects, art work and student work. OFFLINE ACCESS for owned classes Download your owned classes and watch or listen to them offline. Learn anytime, anywhere. Realize your creative dreams in career, hobby and life. ABOUT CREATIVELIVE CreativeLive is the world’s largest and best online creative education platform, with more than 10 million students and 2 billion minutes of video consumed on its platform. 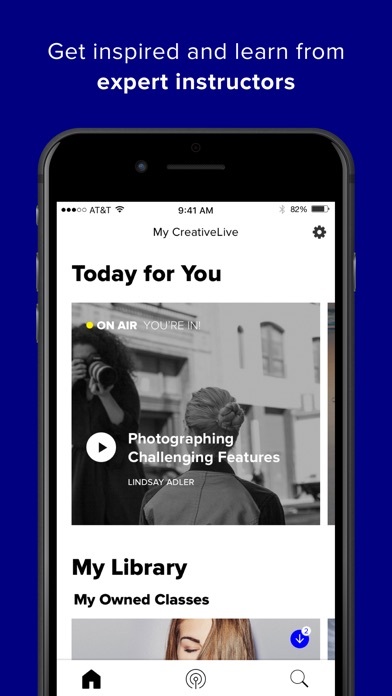 CreativeLive classes are taught by the world’s top experts — Pulitzer, Grammy, and Oscar winners, New York Times bestselling authors, thought leaders and legendary entrepreneurs. Photographers, designers and artists teach skills and provide tips and tricks, creative ideas and inspiration in classes, tutorials, how to videos, interviews and courses. There’s a creator in all of us. Mostly enjoyed the class, but too, too many vocalized pauses and fillers. These are the professionals so expected professional quality. At times, wondered how did they plan for this class because at times, they could not articulate their thoughts well. I’ve seen this before.. where someone is especially great at their craft, but lousy speakers & teachers. I absolutely love Creative Live. I have learned and became so inspired by every single class I've taken. I would recommend Creative Live to everyone I know. Love the content, great classes and teachers. However, the app needs to be updated for iPad Pro screen sizes. iPads have been out almost 7 months at the time I’m writing this and still no support. This results in so much wasted blank space on the iPad screen. Little use but always the best!! 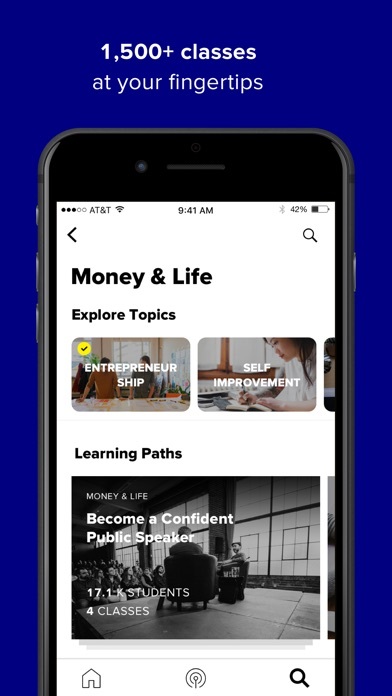 Even though I myself have not use the app to its full potential I will recommend creative live as one of the best sources of information and finding out the details and procedures to look towards when wanting to become anything. Film maker, Musican, business man/woman. If you couldn’t buy the All- Access CL Pass (monthly, it’s about 29.95/3.50 = 8.55714285 SB Americanos), don’t worry. If all the great spiritual teachers (and, yes, you know who you are, so don’t peak or crowd to the front of the line, again) are right, you can use a few - like, maybe, 39 - of your lives, and learn 13 courses of this great teaching without CL. However, if you want to get the Blew-Light Special plan going, figure out how to make this Q-Jump. Just sayin. Creative live has amped up my photography game! I am a visual learner, and this is exactly what I always needed! And while learning what I came here to learn I bounced around each day with my free lesson, and happened upon a style of photography that resonated with me! I found my niche in that class and bought it too! I couldn’t sing your praises any higher! Y’all need Creative Live! No matter what level you’re at! 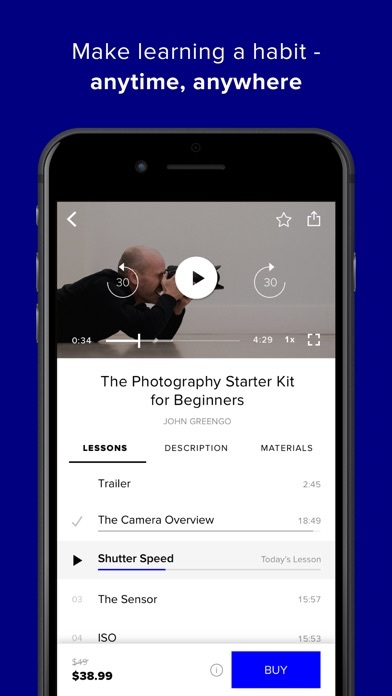 App supposedly allows you to download classes for off line viewing. Tried to do so for a trip, every other if that segment downloaded. Further, trying to download starts the session running vs. downloading most of the time. Complete waste of money investing so much in classes I must watch with a dedicated stream via the Internet. 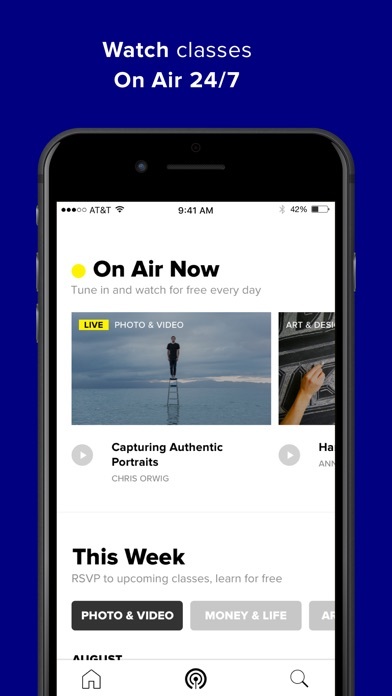 Given the overall cost and investment in creative live I would say this is the worst app I have ever used.